Turkish rabbi and author; born in the latter half of the seventeenth century; died between 1723 and 1739. He was associate rabbi in Constantinople. His printed work, "Ḥiddushim we-Sheëlot u-Teshubot" (novellæ andresponsa), appeared as an appendix to "Shene ha-Meorot ha-Gedolim," a rare work by Elijah ben Judah Covo (Constantinople, 1739). 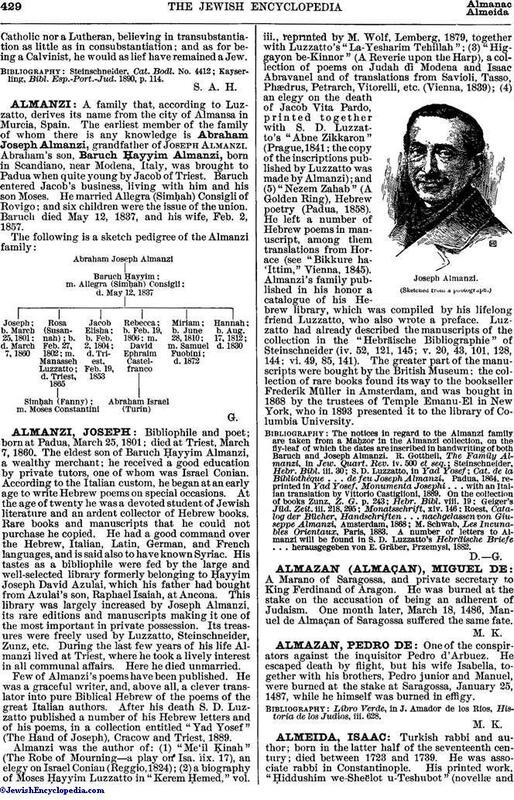 After his death it was republished, edited partly by Joshua ben Joseph Chendali, publisher of the larger work mentioned, and partly by Almeida's son, Solomon. Almeida was living in 1723, as is attested by the fact that on page 18a of "Shene ha-Meorot" the work "Neeman Shemuel" is mentioned as having been recently printed; and this book appeared in Salonica in 1723. 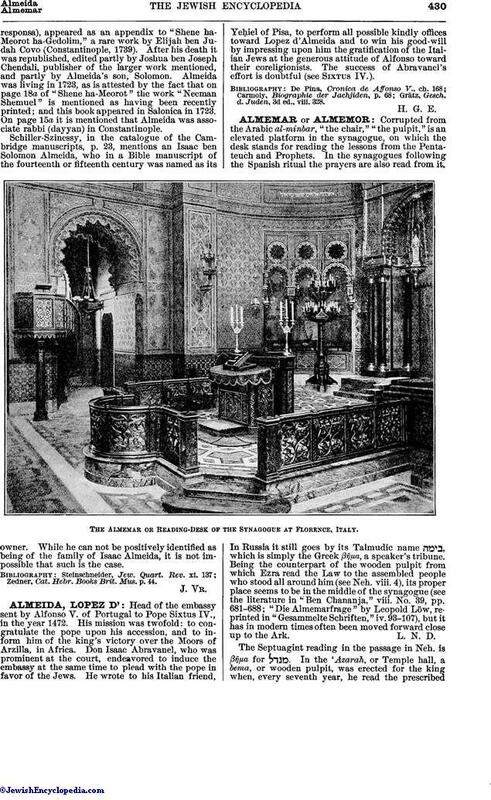 On page 15a it is mentioned that Almeida was associate rabbi (dayyan) in Constantinople. Schiller-Szinessy, in the catalogue of the Cambridge manuscripts, p. 23, mentions an Isaac ben Solomon Almeida, who in a Bible manuscript of the fourteenth or fifteenth century was named as its owner. While he can not be positively identified as being of the family of Isaac Almeida, it is not impossible that such is the case. Zedner, Cat. Hebr. Books Brit. Mus. p. 44.